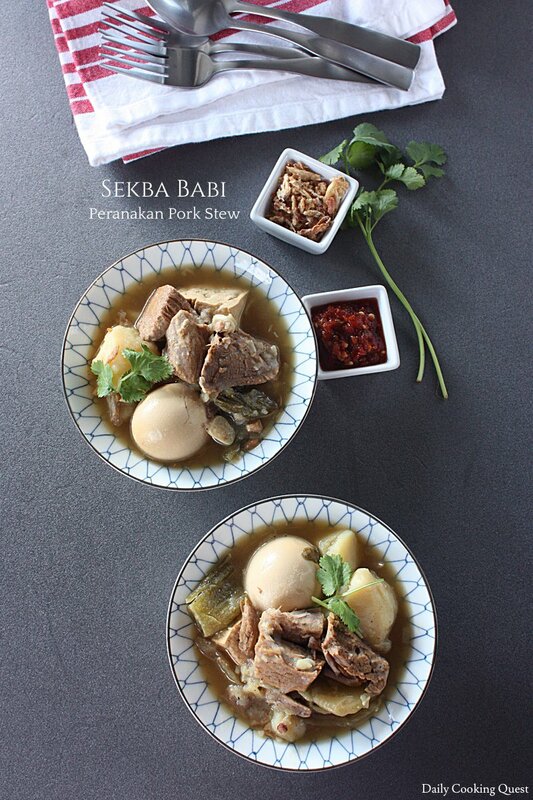 Sekba babi is a very famous Indonesian-Chinese peranakan dish. 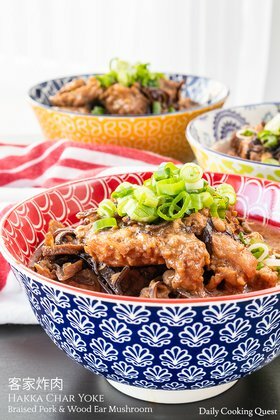 A peranakan dish typically means that the dish that has been adapted over time and has evolved into something quite entirely different from its original dish. I have never encountered this so called Chinese dish outside of Indonesia. 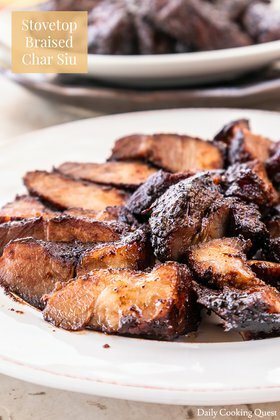 To me, sekba babi is pretty similar to babi dan tahu kecap (taw yew bak/豆油肉), which I prepare quite often and is one of my favorite comfort food. 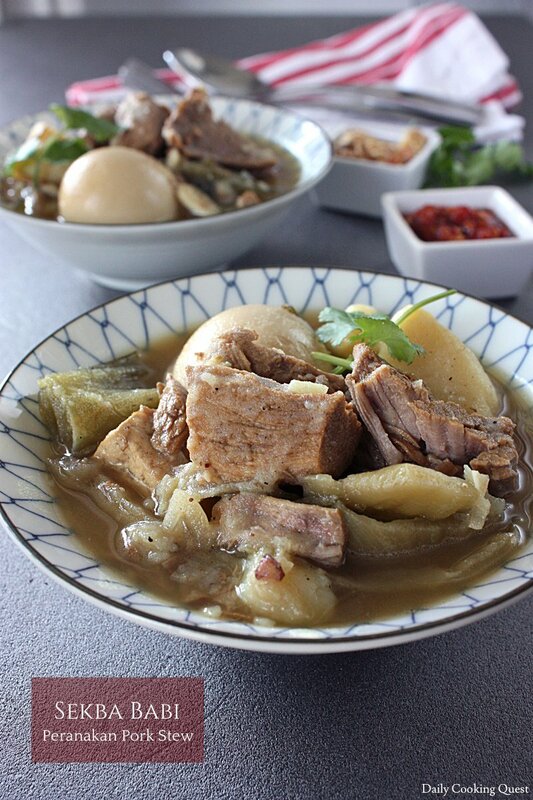 If my guess is right, then somehow taw yew bak evolves into sekba babi, and along the way the ingredients list expanded to include preserved green mustard (Indonesian: sayur asam) and potatoes, on top of tofu and hard boiled eggs which are also present in taw yew bak. Place pork and 6 cups of water in a pot. Bring to a boil, simmer for 30 minutes. Set aside the pork and cut into bite size pieces. Discard the water. Return cut pork into the pot, add 8 cups of water, along with cloves, star anise, szechuan peppercorns, nutmeg, salt, sugar, sweet soy sauce, soy sauce, and black vinegar. Bring to a boil. Heat 3 tablespoon oil in a frying pan, sauté garlic and shallot until fragrant and browned, about 3-4 minutes. Add this to the soup. Add tofu, preserved green mustard, hard boiled eggs, and potatoes to the soup. Simmer for 30 minutes or until the meat is tender and the potatoes are fully cooked. Adjust seasoning as needed. (*) Can be substituted with whole white/black peppercorns.